When planning our summer holidays we tend to think first of visiting the most popular destinations. London, Paris, Amsterdam, and Rome – these are the European cities that probably figure at the top of our travel bucket list. These cities attract millions of tourists each year and one can get lost in the crowd. Holidays in off-the-beaten path destinations, such as Eastern Europe, can not only be less crowded, but also quite affordable, especially if you haven’t inherited a fortune or won the EuroMillions lottery. Bulgaria, for example, is a country definitely worth visiting. In the summer months the beaches are particularly inviting and in the winter the ski slopes are on a world class level. Bulgaria boasts incredible nature, fascinating history and culture, and a national cuisine that will make your visit thoroughly enjoyable. Here are five places worth visiting on your upcoming trip to Bulgaria. Sofia – The capital of Bulgaria is the perfect place to start, especially as many major international airlines have regular flights to the city. 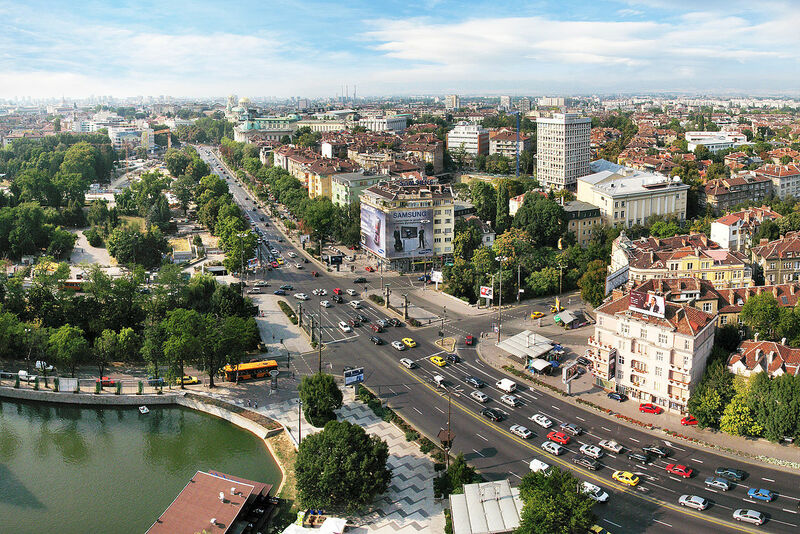 Sofia’s main attractions are located in its centre and you can see most of them in a day. If you spend more than 24 hours in Sofia, you can use it as the perfect base for outings into the countryside. A visit to Alexander Nevsky Cathedral, Sofia’s iconic landmark, is a must but visitors will also enjoy seeing the Rotunda of St. George, the city’s oldest church located in the courtyard of the Sofia Hotel Balkan. Rila Monastery – Just an hour and a half’s drive south of Sofia, this monastery is located in a serene mountain setting. The main church at its centre has a dark interior but colourful frescoes with Biblical themes and black and white striped pillars outside. Two stories of wooden structure surround a central cobblestone courtyard and in the distance one can see the peaks of the Rila Mountains, white-capped with snow much of the year. The monastery is named for Bulgaria’s patron saint, Ivan Rilski, a hermit who lived in a nearby cave. Plovdiv – Bulgaria’s second city is also one of the oldest in Europe. There are many sites dating back to antiquity including a Roman theatre still in use for cultural events today. No visit to Plovdiv would be complete without a walk through the Old Town where galleries and museums are located inside colourfully well-preserved houses built in the Bulgarian Renaissance architectural style. Black Sea – Bulgaria has no shortage of beaches for those who prefer to tan on the sand, as well as a pristine coastline with undisturbed views of the sea. Many tourists prefer the ultra-modern resorts in Golden Sands and Sunny Beach, but adventurous visitors will find fascinating towns a short distance away. Koprivshtitsa – Its name is a bit hard to pronounce but this small village an hour’s journey east of Sofia is definitely worth a visit. The village is a prime example of Bulgarian renaissance architecture dating to the mid-1800s. Many of the beautifully restored houses, with their brightly coloured exterior walls, serve as ethnographic and historical museums. Step inside and you’ll feel as if you’ve been transported back to the 1870s, when Bulgarian revolutionaries used Koprivshtitsa as their base when fighting the Ottomans for Bulgaria’s independence. There is much more to see in Bulgaria than the five places mentioned here. The best thing to do is to set off for your Bulgarian adventure today!